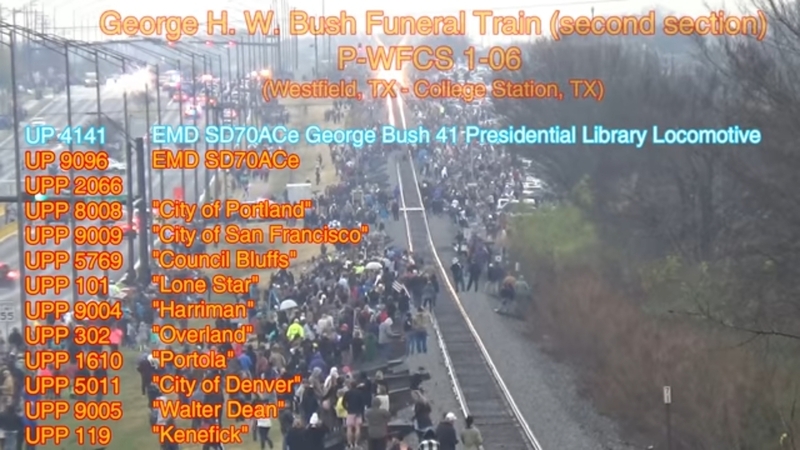 Just wondering if anyone is ordering all the items part of George Bush's Funeral Train? I was looking at the baggage car with the flag on it and noticed the road number in the latest MTH catalog had the incorrect number or I could be incorrect. 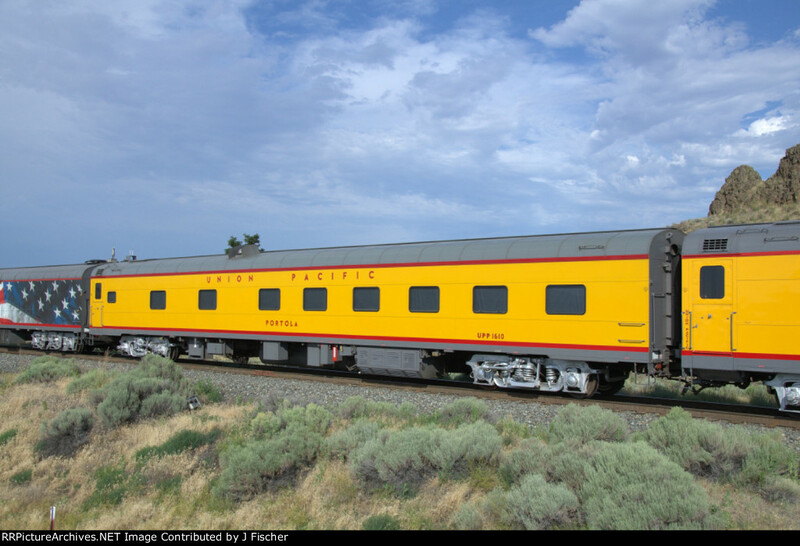 I did a quick Google search and it shows the real deal baggage car as "5769" instead of "5779" in the catalog. 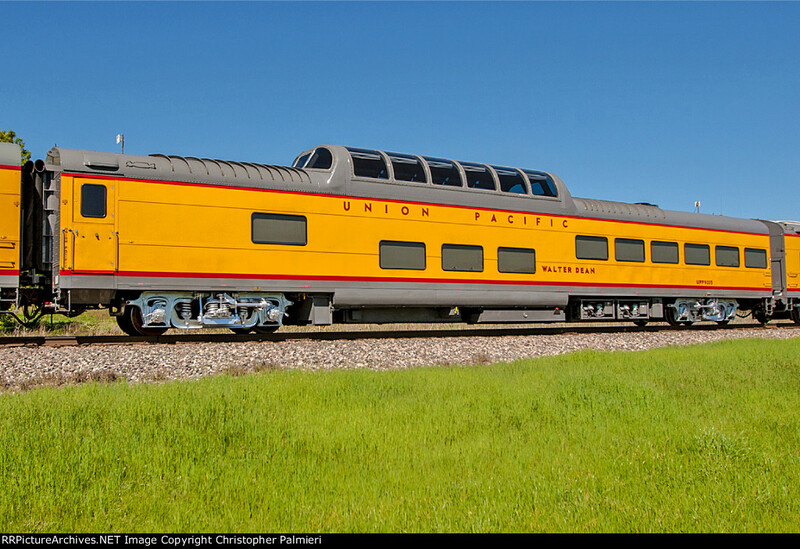 For something, they're trying to market as a set to mimic the real train that was used it seems quite off for the majority of the cars when I took a closer look at all the cars from Union Pacific's website and also on Youtube. (Also, I don't consider myself a rivet counter by any means it's just when I found the one flaw I looked more into it and found much more). I gathered up these car numbers (below) and what type of cars from the UP website and the Youtube videos. Anyone think what's in the catalog is what it's going to be released or does stuff from the catalog get corrected all the time? I never paid attention to this much details on the trains, I just like to run them. Also, Lionel is supposed to release a set later too if I'm not mistaken. I wonder if they're going to use whatever to make a yellow train like MTH did in the catalog to look like the real consist used that day? Thoughts? I did the same research into the funeral train. It appears that MTH is "no where close" to the real train consist--with the exceptions of the motive power and casket carrying baggage car. I asked an MTH dealer about this. He did not have a response and for that matter was not even aware that rolling stock types and car numbers were not correct according to the catalog. Let's hope that MTH can get this done correctly and also inform the modeling community as such. One thing that could happen is the boxes are labeled in such a way to denote the uniqueness of the consist. Thoughts? None of the cataloged cars are close. There were two open vestbule business cars on that train which MTH has never done. MTH has done domed diners that were pretty close back in the early 2000s but those are not pictured either. The ones pictured are not the same. Gorgeous locomotive - I believe it was in service prior to the funeral- but I cannot say that I would want to recreate any funeral train. Guys, I don't understand, nowhere did I see that MTH was stating that they were recreating the exact copy of the Funeral Train, I'd be thankful that they even considered doing it at all. Seems like most people have to immediately start finding something wrong with what a manufacture is bringing out, they feel the need to nit-pick it to death right off the bat. ElementDude195 states that he's not a rivet counter but he researched the entire train to find all the flaws that MTH did or didn't do. Why can't you just be happy that they considered doing it at all, if you don't like that they have some imperfections, then don't buy the fool thing but don't sit and criticize MTH and run them down because they didn't do it exactly as it really was, remember, this is a hobby guys, enjoy and be thankful for what they do bring out. I can't afford the entire train anyway so I don't really care if its right or wrong or missed the mark or what, I'm just happy to see more trains coming down the tracks. I don't know of any MFG that has ever got any locomotive or piece of rolling stock 100% exact as the per the prototype. Many have tried and probably all have failed in one way or another. J, cut back on the caffeine. No one is disparaging MTH. The question was asked if these cars match the actual train. At this point the answer is they do not. A few may come close but the majority don't. The cars used on the funeral train are part of the UP business train as well. Recently that has been led by UP 1943, The Spirit of UP. 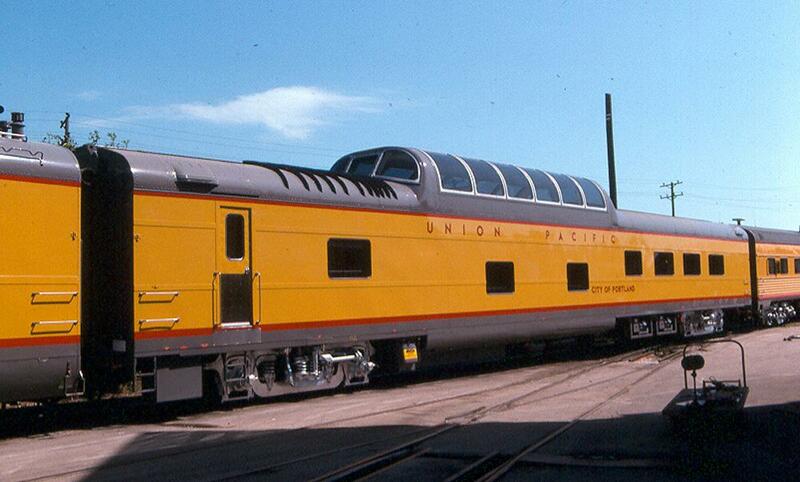 Those of us with either or both 1943 and 4141 would like to see a train modeled after these cars. Lionel is planning on doing a few. I could see if MTH decided to make the same cars in 18" the demand might actually greater than for Lionel's cars. I did the same thing. Not too concerned with details, except was thinking I'd like this train to be more accurate. Not a rivet counter until this offering came along. Reminded me of when I bought the MTH CalTrain Engine which is like the one that runs by our house, which I really like. Then a train friend who is very knowledgeable mentioned that the Caltrain locomotive is actually an MP36, whereas the MTH locomotive is an F59. There are differences, but still love it though! I'd never have picked it up if I weren't told. The flag baggage is the only car remotely related. UP doesn't even have full domes, but that's never stopped MTH before. I'm waiting for the Lionel version. The engine I can understand, I think UP did President Bush an honor. I would have to think about the funeral train. I know where I have been, I know where I am at, I am hopeful I know where I am going. (The devil and God are talking it over). The engine 4141 is a nice honor for President Bush and I may buy the engine but not the cars. Just not into funeral trains. Thanks for getting my point and having my back. I was trying to have a civil discussion to contribute anything constructive to the topic. I wasn't complaining about what MTH put in the catalog. In fact, I always look forward to the next catalog as it's like window shopping for myself and mainly for visitors I get at this toy train museum I volunteer at (it's one of the reasons I got the CP Holiday Train last year). I never expect anything in this hobby to be 100% prototypical as I have lots of inaccurate stuff, but I just like to play with them. I still take it with a grain of salt and I run what I want because there is no wrong way (most times haha). Just to put this out there I'm not like most of the users or at least the active ones on this forum. I'm well into my 20's so I'm used to this type of stuff and it's ironic that it's the younger crowd that the hobby needs to keep it strong, but the barrier of entry is strong in many different aspects. Anyway to get back to the Train topic. To give some background if some got the wrong impression of my post. 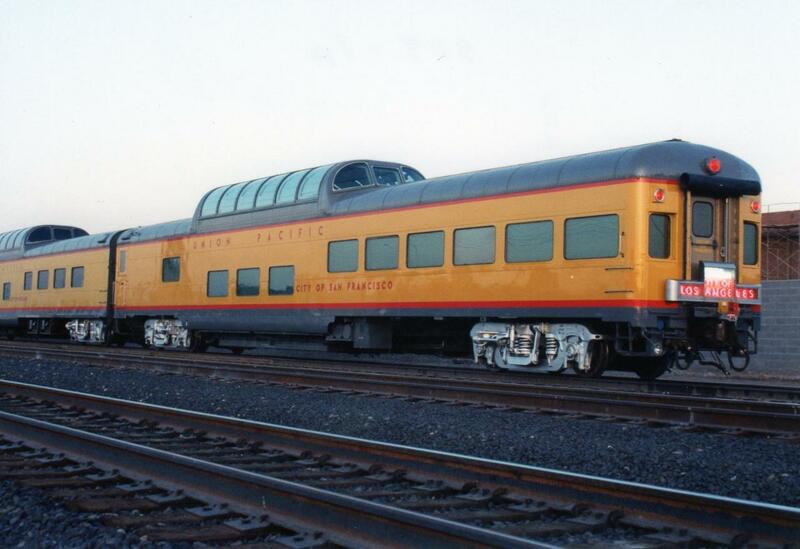 I'm personally not into passenger trains (it's cool if you are), but when I saw that train in the catalog it was unique enough to me where I read the article MTH wrote and I was curious enough where I watched a video on Youtube of the day the processional train ran. 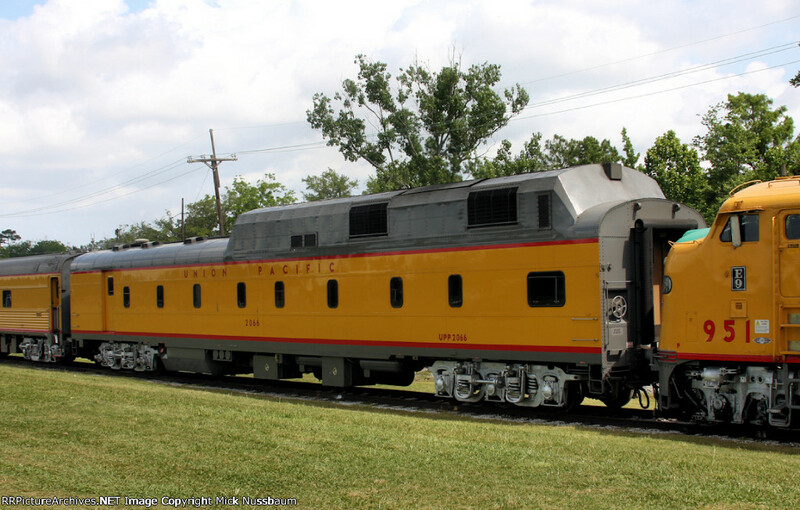 Since I didn't have any interest in Bush's train before, it lead me to UP's site (good read by the way) where they had lots of information on all the passenger cars they use including the ones specific for that day last year. Since both catalog and video was fresh in my head I noticed some slight differences and was wondering about it. Some thoughts I had from reading the above. 1. Is it usually what I see in the catalog is very likely going to be exactly what the customer is going to receive? 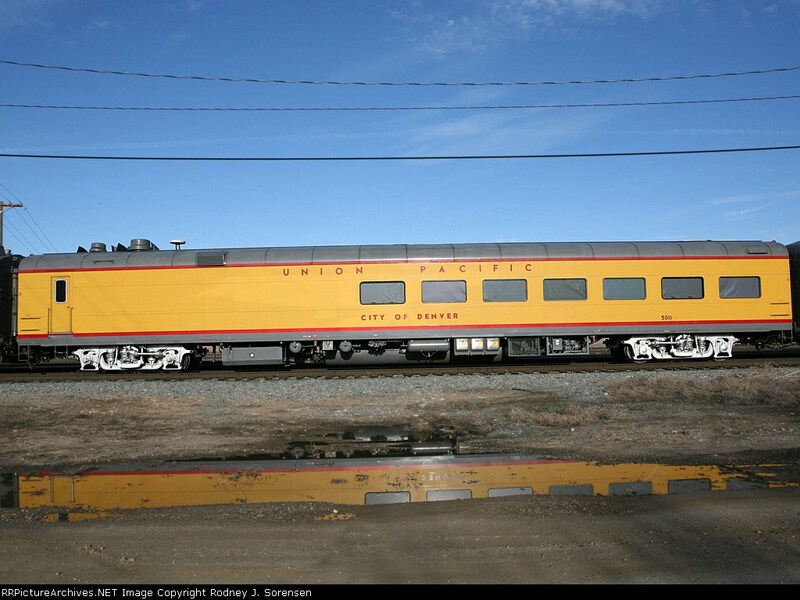 What I mean is do they ever amend anything like for example how the baggage car with the casket had different road numbers on the model vs real life. 2. It totally makes sense, but I didn't realize the same cars are used with the UP 1943. That would make the purchase more worthwhile if people don't want to mimic a funeral train for good reasons. 3. I also agree with others who have noticed the differences too. For me, it's a lot of money to spend blindly if I don't do some research into what I'm buying. I wouldn't see an ad for a car and go to the dealer and be like I'll take it. That just logically wouldn't make sense, I would need to get a good feel into what I'm buying with a large purchase. I know nowhere it says it's a replica, but boy they sure tried to make it appear like one (without any false advertisement). With the two exact numbers on the engines and the car with the casket used that day.. come on don't kid yourself. 4. I'm still debating on getting the 4141as the back story is quite unique to its creation, but I'm not sure if it's going to be the Lionel or the MTH version. 5. I do agree with notifying the manufacturers on concerns because if you do nothing, nothing can improve. Of course, do it in a tactful and polite way if possible. I also do not encourage groupthink so always voice your concern because I bet there's always someone else who is thinking the same exact thing as you. The 5015 was rebuilt and renumbered to 302 in 1988. This is contrary to what the UP site provides as its numbering. Some great points you raise. I too experienced culture shock when entering the hobby almost 8 years ago. The world outside has progressed in terms of knowledge and expectations. Yet, many forumites/hobbyists (at least many that post here) feel that we shouldn't complain, but rather, just be happy with what we get. Poor manufacturer is doing its best. Kind of hokey to me. Almost like my grandparents' generation that never questioned what the doctor said because the doctor is, well, the doctor. Ironically, this "don't complain, just be grateful" crowd is generally comprised of the same folks that regularly complains about products coming from China not meeting their expectations. On a macro level, you're also right, in that if the manufacturers don't consistently provide a state-of-the-art durable product and don't keep up with current thinking in the marketplace, they will continue to cater to a dwindling market - retirees. This doesn't represent a good forward thinking business model. I might be interested in a steam powered funeral train prior to 1940, but l don't think there were any significant deaths so honored in that pre-WWII decade.
? ?Another one of THOSE!!?? What you want to sell is not what I want to buy! MTH is asking a lot of money for something that in my book is pretty far off the mark, but it's still cheaper than what Lionel will charge, so if you're not obsessed with prototypical accuracy and want the train, go ahead and buy the MTH version. As far as the idea of a funeral train being weird or morbid, I personally see it as a way to pay respects to a leader of our country. I'm not going to get political and understand people have widely varying opinions of 41, but my grandfather met him through his career and I've seen him and Barbara before so there's a personal tie for me. Lastly, I've always wanted some nice UP excursion cars and these are the same cars they use on public trips and business trains, so they are multipurpose for me. 4141 will be used in freight service on my layout and the cars will be used in excursion service. Not just a funeral train. I think there is a distinction here. The Bush "Funeral Train" was a special excursion train used to transport the president to his final resting place, but there was nothing unusual about the cars as they've been all over the system in excursion/business service. To that end, the train would be nice to have for your E8/9's, Heritage units, Big Boy, Challenger, and 844 FEF. What made this train different is the purpose of the excursion it ran and that it was headed up by UP4141, the SD70ACe specially painted to commemorate the George H.W. Bush Presidential Library (I haven't seen pictures of it headed up by UP4141 prior to this). To the best of my knowledge #9696 was "just another" SD70ACe with the "Building America" tag line and American Flag (which appears on other locomotives) -- I think the locomotive type, flag and tag line were important factors. The Lincoln Funeral train was a special one-off build. As I recall, it was the then-equivalent to Air Force One, but President Lincoln never got to use it. Instead, it carried his body and family to Illinois. 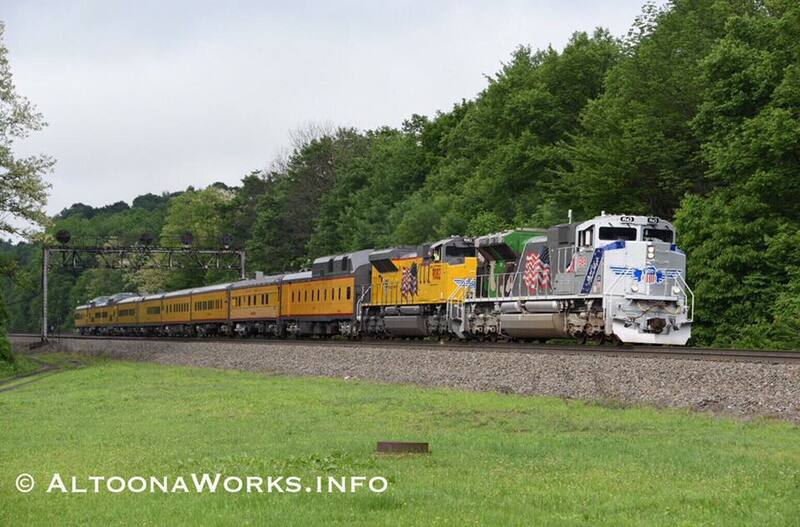 It was also pulled by different locomotives on different legs of the trip from Washington DC to Springfield, Ill. While it would be an interesting collector piece, it's use was specifically for the presidential funeral. "The best service you can provide for the hobby is to pass on what you have learned." "Celebrating over 20 years of moving freight and passengers from Point A to Point A!" Actually Matt, what makes the cars used in the funeral train and business train "special" is most have not been modeled before and are different from the cars virtually everyone including MTH, Lionel, and K-Line have offered in the past. If you go to the UP site you can see what the cars look like. I am not aware of anyone doing open vestibule observation cars nor the special power car seen in the photo above of the business train. MTH has done dome diners seen on this train but they are not pictured in the current catalog. Who knows, MTH is notorious for producing items which don't match the catalog so maybe the correct cars will be produced despite whats pictured. 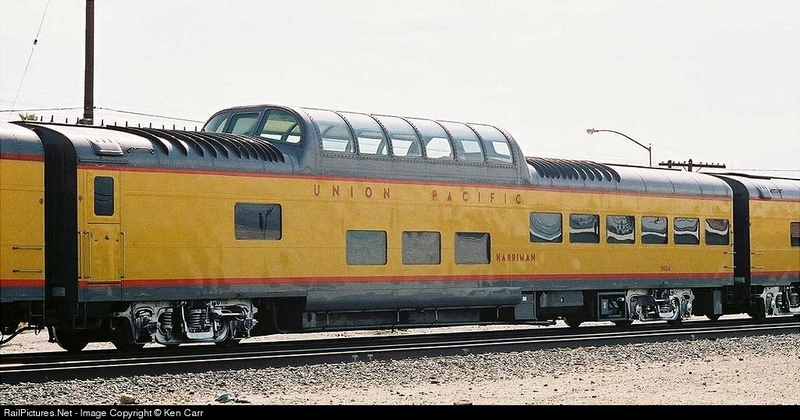 The cars produced in the past may work for trains of the '40s and '50s, generic Pullmans and Coaches but not the modern consists. Here are the actual cars as listed above. OCSMR-Ocean County Society of Model Railroaders Club in their new location with many pictures showing our progress. Armature Bushing Replacement - have you done it? How's Precision Schedule Railroad (PSR) working for you? (02/28/19) New! O Scale Piggly Wiggly from Menards! This affects ALL OGR print magazine subscribers....please read! Ads at top of home page Q. Question about Atlas 2 rail trucks. Help ID this German Clockwork. Which Dremel wheel to cut Gargraves track?